Recently, it is reported that a new image-based malware campaign targets more and more Macs. This new malware attack has been called VeryMal. 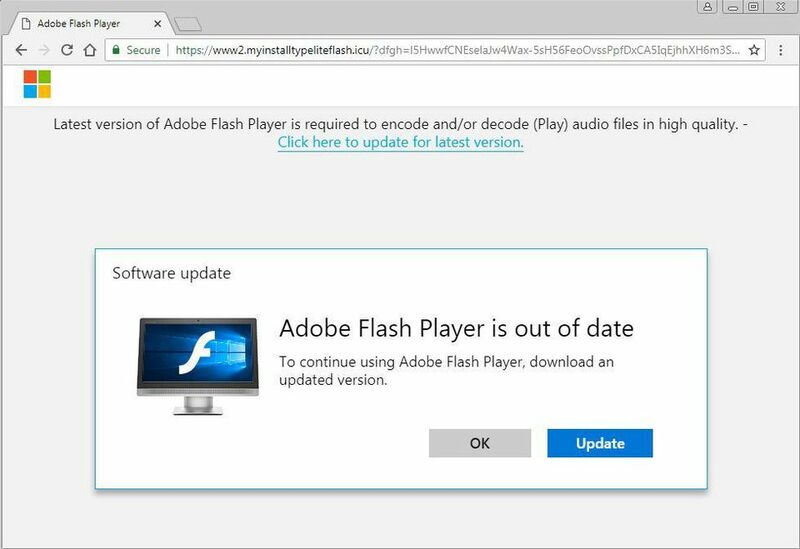 You may be attacked by a harmless-looking white rectangle image, but if you click on the rectangle image, it will redirect you to a URL and trick you into installing Adobe Flash Update. It is actually a kind of malicious advertisements or something potentially unwanted program (PUP). It is estimated by researchers that every day around 5 million users have been attacked by this VeryMal malware. Alarmingly, you should be warned that actually fewer than a third of the anti-malware engines on the Google-owned VirusTotal scanning service detect VeryMal’s payload. If you don’t keep a careful eye on this kind of warning alert message or signs like white-rectangle thing, but click on it and will be soon installed the malicious updating. VeryMal malware is a stealthily malicious program mainly stealing personal information. If it sneaks into your Mac and install itself without your permission, you will be part of an online advertising fraud machine. Therefore, please look out of any changes happening on your Mac, and if the problem happens, you should fix immediately.